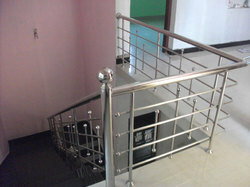 Prominent & Leading Manufacturer from Chennai, we offer stainless steel handrails and ss stair handrails. We are one of the reliable organizations in this domain and are into presenting an extensive quality assortment of Stainless Steel Handrails. This Handrail is broadly used in roof and along ladders of all residential buildings, commercial buildings, and industrial buildings. 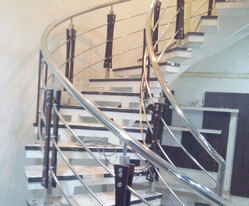 We are offering SS Stair Handrails to our clients.